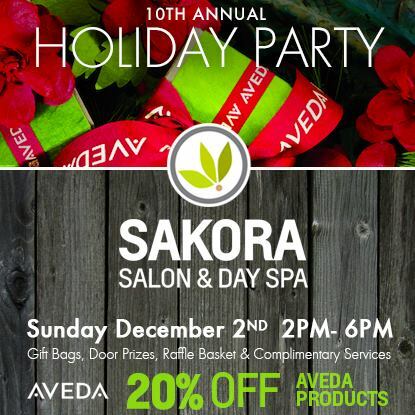 Sakora Salon’s Holiday Party will be Sunday, December 2nd from 2pm-6pm. Save the date to come hangout with us as we celebrate your dedication and continued loyalty to Sakora Salon. We truly appreciate you! Mini services including massage, polish change, hair tinsel, hand massage, and more! Select pre-made gift sets are 20% off, and will be throughout the holiday season. Supply is limited, so get them while they last!